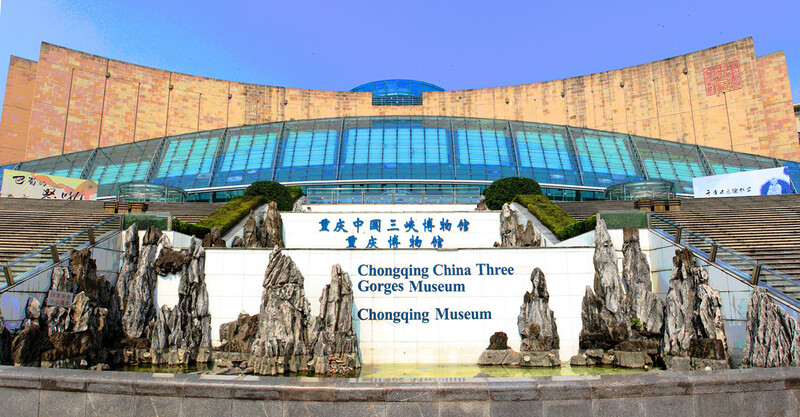 China Three Georges Museum is a non-profit cultural organization for the protection, research and showcasing of the historic relic and natural and geological sample in the Three Gorges Area. It is also an important base for promoting and displaying our culture and traditions. Built along the mountainous terrain and semi-enclosed by the surrounding hiss, the architectures of museum conforms to the style of traditional Chinese garden, and resembles an exquisite sculpture engraved from its surrounding hiss and interacted well into the hills. The four-floor museum exhibits the history and development of Three Gorges region and traditional culture of BA and YU. The main exhibition halls are The Splendid Three Gorges, The Ancient Ba Yu, The Development History of Chongqing and The folk-custom of the Southeastern of China. You could take Line 2 to Zengjiayan Station and walk there.